The A-Team was a great television show. (We won’t discuss the movie.) But it’s a terrible model for your sales team. We did some research asking sales ops leaders about their biggest regrets and mistakes. One of the things they told us was that they really regretted viewing sales as an art form rather than a repeatable process. The problem with viewing sales as an art is that you end up treating your salespeople as the A-Team. You see them as a collection of individuals with skills that no one else can duplicate. And just like the original A-Team had to avoid upsetting Mr. T and instead resorted to trickery to get him on an airplane, the people in the company tiptoe around the sales team so as to avoid upsetting them. No one can do anything that might offend the sales gods, because if they left the company, then where would you be? No one else understands the process that the sales team is using—no more so than anyone understands how Hannibal comes up with his plans. And if one of the A-Team members does leave, someone else can’t just jump in and easily get up to speed on what was happening with their book of business. You don’t have a process to teach them. It’s really up to the new hires to sink or swim. The best you can do is cross your fingers and hope that you’ve hired another “artist” who somehow innately knows how to get people to buy your products and services. Even worse, if the sales pipeline isn’t performing as desired, no one knows how to fix it. Because everyone is following his or her inner muse when it comes to the art of sales, you don’t have an easy lever to pull to create necessary improvements. But sales isn’t an art form. It’s a factory. Of course, your sales team members are important, and you want to hire the best ones you can find. And no, we don’t think that you should treat people like machines. But sales ops leaders tell us that it’s much more helpful to view salespeople as workers on an assembly line than as lone auteurs who create masterpieces no one else can duplicate. Many sales ops managers who started out viewing sales as an art later came to see the value of perceiving the process as an interconnected system. That gives them a repeatable model that anyone can follow, and it offers the opportunity to tweak the system to create conditions that are more conducive to closing sales. We explain more about why it’s important to view sales as a strategic process in the webinar Getting Serious About Sales Effectiveness. It explains what leading B2B companies are doing to help their sales teams get better at generating profits. 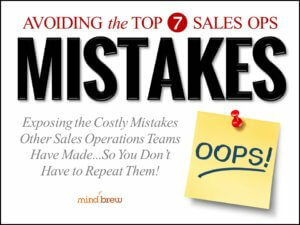 And if you’re interested in learning about sales ops leaders’ other big regrets, watch the webinar on Avoiding the Top 7 Sales Ops Mistakes. 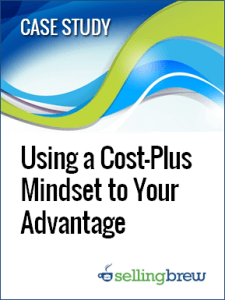 It can help prevent costly lessons that other teams had to learn the hard way. Your sales team isn’t the A-Team, and we pity the fool who treats them that way. In this guide, you'll learn how to look at sales performance in a different way, use sales analytics to answer much more powerful questions; and identify your company's real strategic "sweet spot" in the marketplace.